Christian Capitalism: Will we never see another Soros or Buffett? Will we never see another Soros or Buffett? The Global Guru wrote recently that investing has changed so much over the past two decades that we will never see investors like Buffett and Soros who could earn 30% returns for 30 years. The reason, Vardy wrote, is that Soros and Buffett gave away their secrets and attracted too many imitators who have competed away the excess profits. That’s how markets should work. Walmart is suffering today because its competitors adopted Sam’s business model. Some of Soros’ and Buffett’s success came from the changing of the US economy. Most of the time during which they achieved such outlier earnings took place when the US was transitioning from the high interest rates of the Volcker economy in the early 1980s to the low rates of today. Of course, other investors enjoyed the same environment without taking advantage of it. Part of their success came from the booming economy that resulted from Carter and Reagan ending New Deal era price controls. We have exhausted that benefit to the economy while adding three millions pages of business bone-crushing regulations to the Federal Register. Also, Reagan, Bush I and Clinton each passed huge tax increases that were the largest in US history at the time of their enactment. It’s no coincidence that the floods of new regulation and higher taxes had their maximum impact right around the year 2000 when Buffett and Soros began having trouble with investing. Still, to say we’ll never see another Soros or Buffett sounds a lot like the predictions of the end of oil and natural gas we heard so much of in the 1970s. It’s probably safe to day that we’ll never see investors perform like those two heavy hitters using the same methods just as we would never have found more oil and natural gas using the technologies of the 1970s today. Essentially, Vardy is saying that no entrepreneur will ever discover an insight into the market that will give them an advantage similar to that of Soros and Buffett, and he may be correct. But he is butting heads with history. Decades of stagnation have existed in every field only to be jack hammered into oblivion by insights from a new genius. Vardy needs to read the Austrian economics literature on entrepreneurs. By Austrian definition, entrepreneurs see things others cannot. 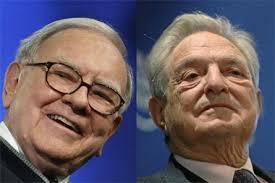 Genius entrepreneurs like Soros and Buffett are rare. I expect that one day other geniuses at investing in the stock market will appear because that’s just how entrepreneurs are and no one can predict them. Still, insights have been lying on the table for decades that can increase investor returns dramatically but few people have picked them up. In the case of Buffett, he for the most part employed what Benjamin Graham had discovered decades earlier. One of those is the employment of the ABCT to guide investment timing and the sectors in which once invests.